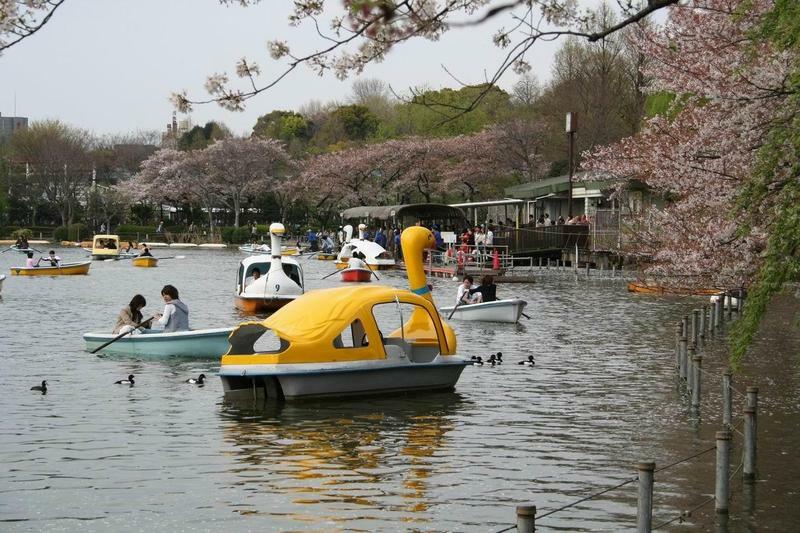 Ueno is located in the northern parto of central Tokyo, in the special ward of Taito. 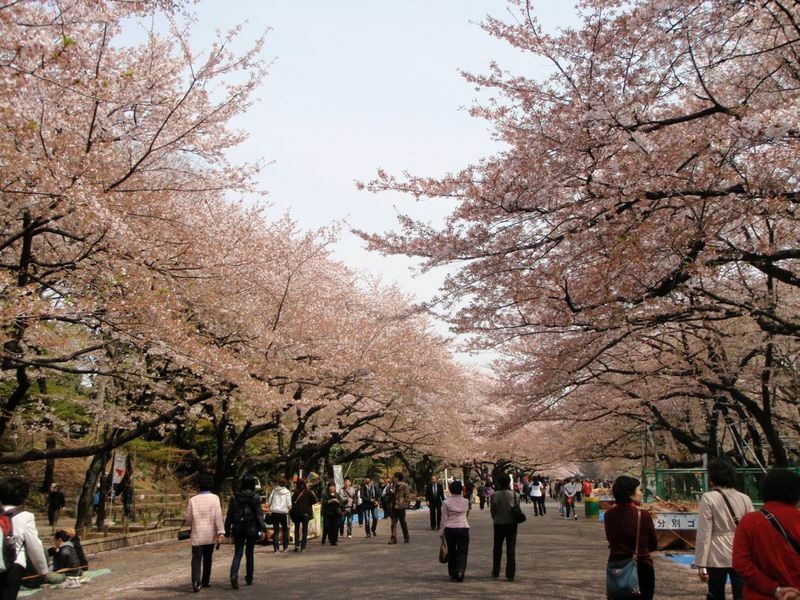 The main attraction of the place is certainly the famous Ueno Park, one of the largest parks in Tokyo, where there are hundreds of cherry trees, and inside which you can visit some important museums. The largest museum in Japan, consists of several buildings, and exhibits a large collection of artwork (painting, sculpture) and archaeological remains found in all Asia, particularly Japan, with descriptions in various languages. It frequently hosts temporary exhibitions which are not included in the standard ticket price. To visit all it (excluding special exhibitions) you need at least 2 hours and a half. The oldest zoo in Japan and one of the world's largest. It features rare animals like the panda, the red panda, the polar bear. Clarification about pandas: it may happen to read that the last panda in the zoo died in 2008 and this is true, but in February 2011 two new pandas arrived from China. A fascinating area of Ueno Park, which perhaps is not considered part of the park but is located south-west of the park, bordering it and separated only by a road, is the area of the "marsh" where there is also a pond with the typical boats for rent, and the Benten Shrine, a sanctuary located in this very particular atmosphere. 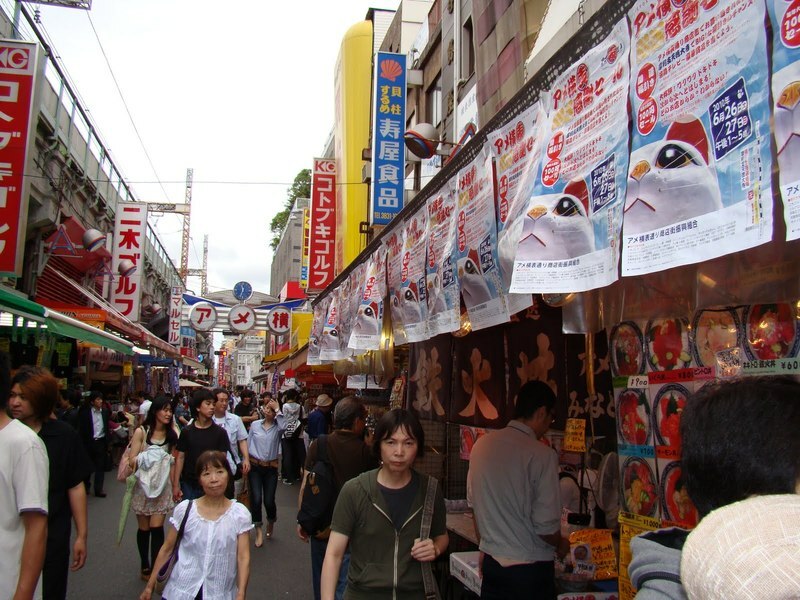 Ameyoko is a street-market, which runs from Ueno Station (just outside the station) to Ueno-Okachimachi station. Along this street there are many shops that selling anything, but mainly food and clothing. The shops usually stay open until 7 or 8 o'clock in the evening. At certain times of the day you may find it really crowded. This area is not a bad place to stay, it's quite lively and is near two famous areas like Asakusa and Akihabara, however, every day you'll spend a lot of minutes on the metro to move to other parts of the city and the districts of nightlife (for example, it takes about half an hour to Shinjuku, Shibuya, Roppongi), so I suggest to choose an accommodation as close as possible to Ueno station, to don't waste further time and energies with long walks between the hotel and the station. Ueno area is full of places where to stay, business hotels, hostels and small family-run hotels and ryokans. One of the highest-level hotels near Ueno station is the modern Mitsui Garden Hotel, which offer double rooms starting from 11-12,000 yen per night. Cheaper but still good business hotels are the Chisun Ueno hotel (500 m from the station) or the New Ueno hotel. One of the cheapest around Ueno station (maybe the cheapest) is the Hostel Komatsu Ueno station, located in a narrow street just 100 meters away from the station, a hotel where I personally stayed the last night of one of my trips, in order to take, the next morning, the train to Narita airport from the nearby Keisei Ueno station. The hotel offers small rooms for 5,000-6,000 yen per night, for one or two people (the price doesn't change), overall, the structure is quite "old" and the bathrooms (shared) are a bit shabby, however, the owners are very nice and the location is really good. Two other accommodations, recommended by several people, are the Oak Hotel, about 1 km from Ueno station but near Inaricho station (Ginza line), which also offers dorm beds, and the Sakura Ryokan, about 1,5 km from Ueno station but near Iriya station (Hibiya line), a small family-rum ryokan. Ueno station is a major railway hub in Tokyo, from where some shinkansen for northern Japan leave. About the subway, it is served by the JR Yamanote line and Tokyo metro Ginza and Hibiya lines, so you can reach it easily without changes from Shinjuku, Shibuya, Ginza, Asakusa, Akihabara and many other places. Keisei Ueno station, where many trains to/from Narita Airport depart/arrive, is located 500 meters south of Ueno station. This station is a good alternative to the more famous Narita Express to reach the airport of Narita. You can find more information at From/to Tokyo Narita international airport.